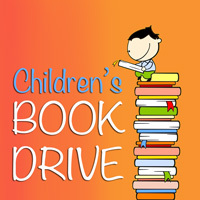 Webster University's 18th annual Children's Book Drive will take place the week of Oct. 1. New and "gently used" books for children from infants to teens will be collected and donated to schools and other agencies serving low-income children and families. Since the project began, Webster students, faculty, and staff have donated 19,335 books. Many children and teens in our community have limited access to quality children's literature. They don't have books at home, it may be unsafe to walk to their local library, and school budgets have been cut drastically, limiting their choices there as well. Your donation will help continue Webster's tradition of getting great books to great kids! Questions? Contact Kate Northcott, director, Student Literacy Corps, at northcot@webster.edu.